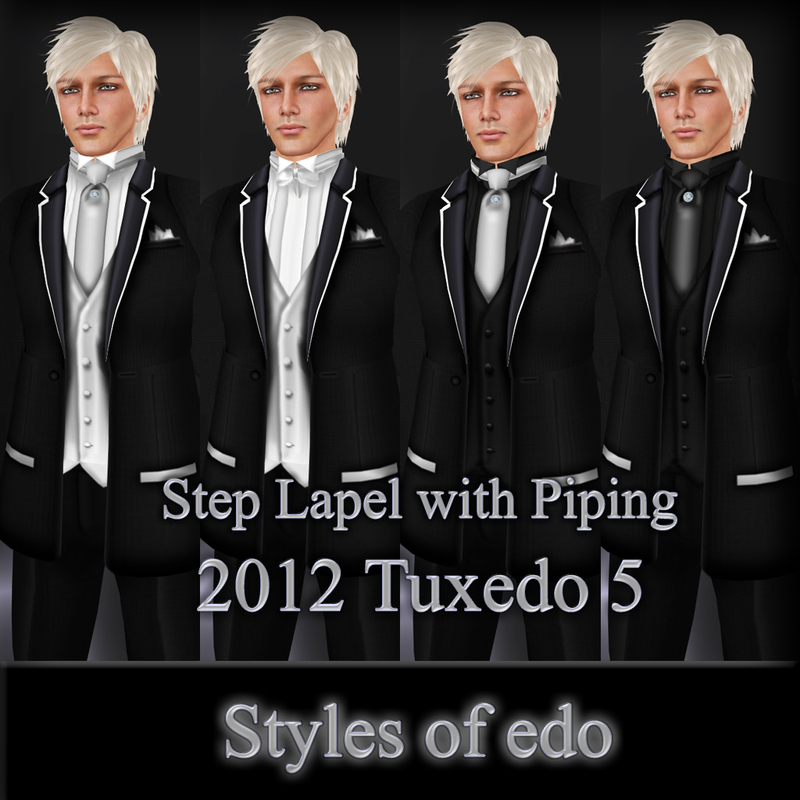 Styles of edo News. 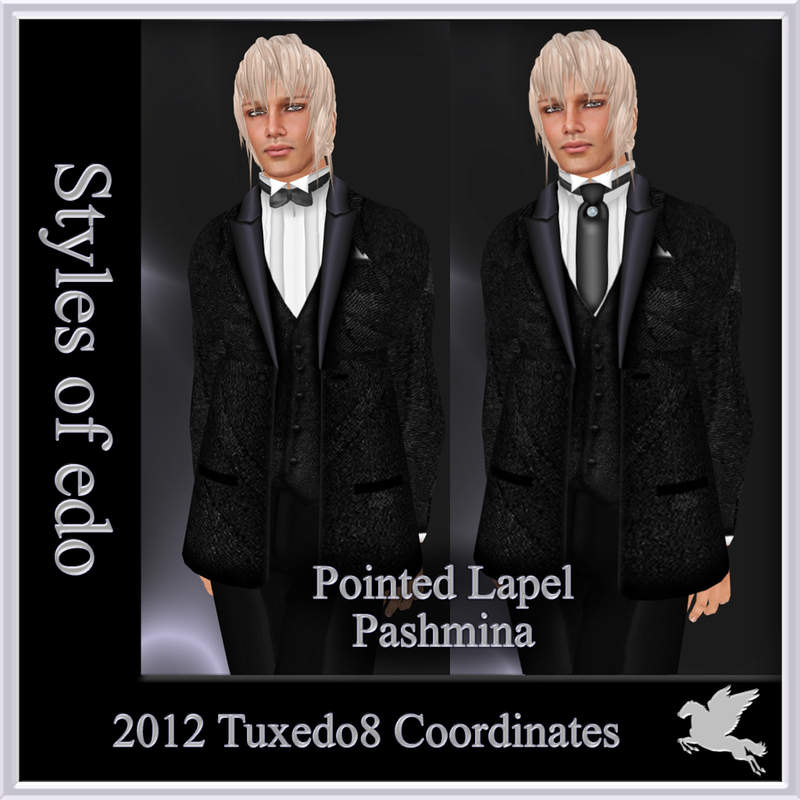 24th, Nov.
Posted in: Information, Men's clothing, New line, Second Life Fashion, tuxedo, Uncategorized. 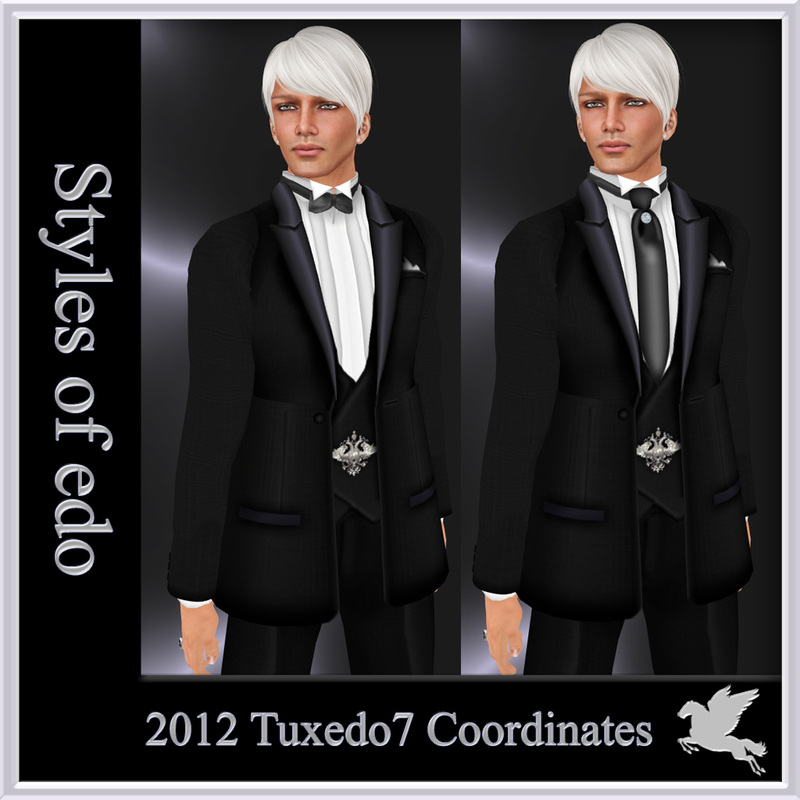 You can see the New Tuxedo Collection on the web. *We have gift boxes too. 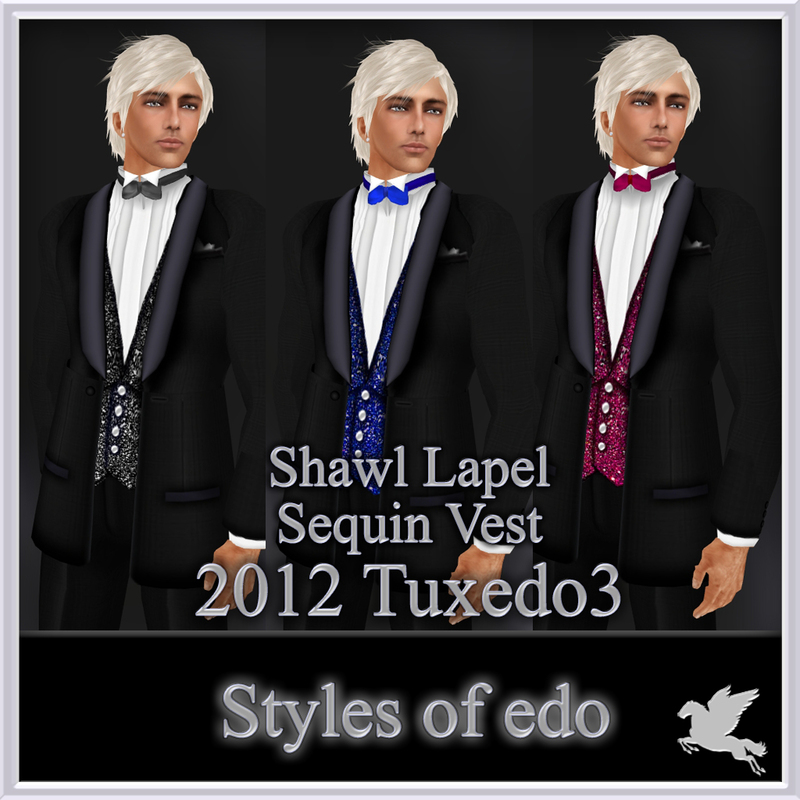 Visit to the “Gift Area, They are can transferable, No Copy. 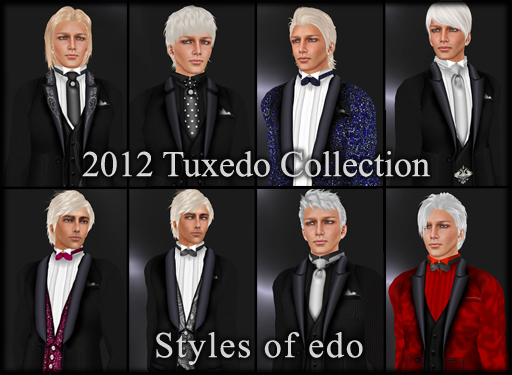 Styles of edo News, Nov 17th. Visit to the “Gift Area” in our main shop. 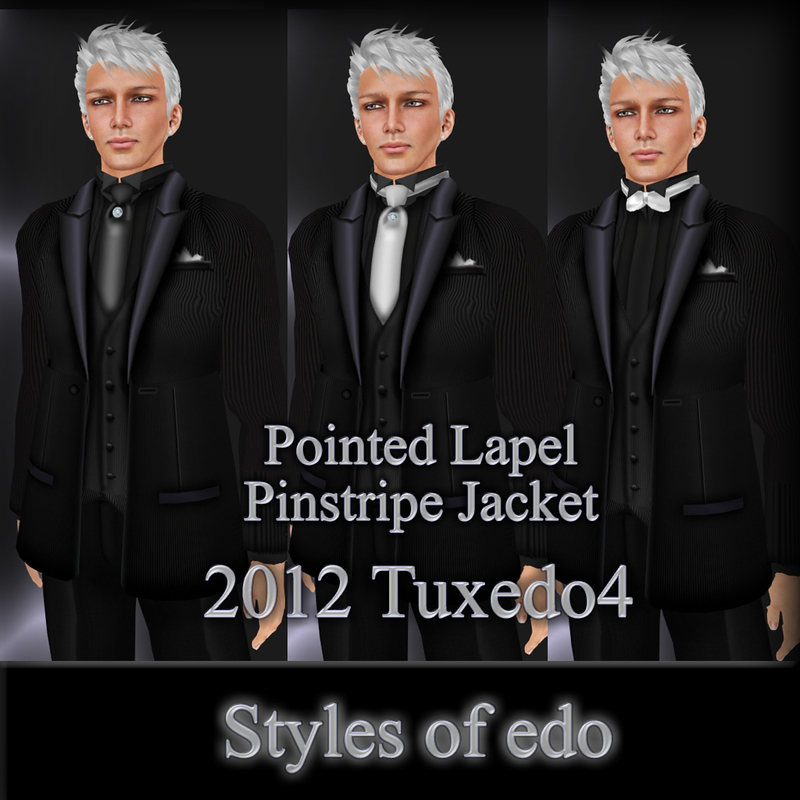 New line from 2012 tuxedo from Styles of edo. 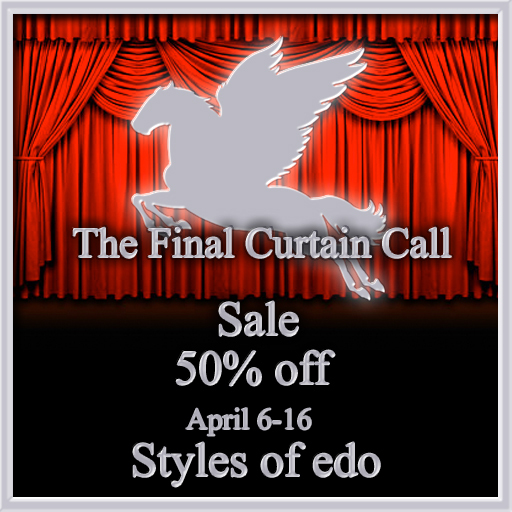 Styles of edo News. Oct 27th, 2011. 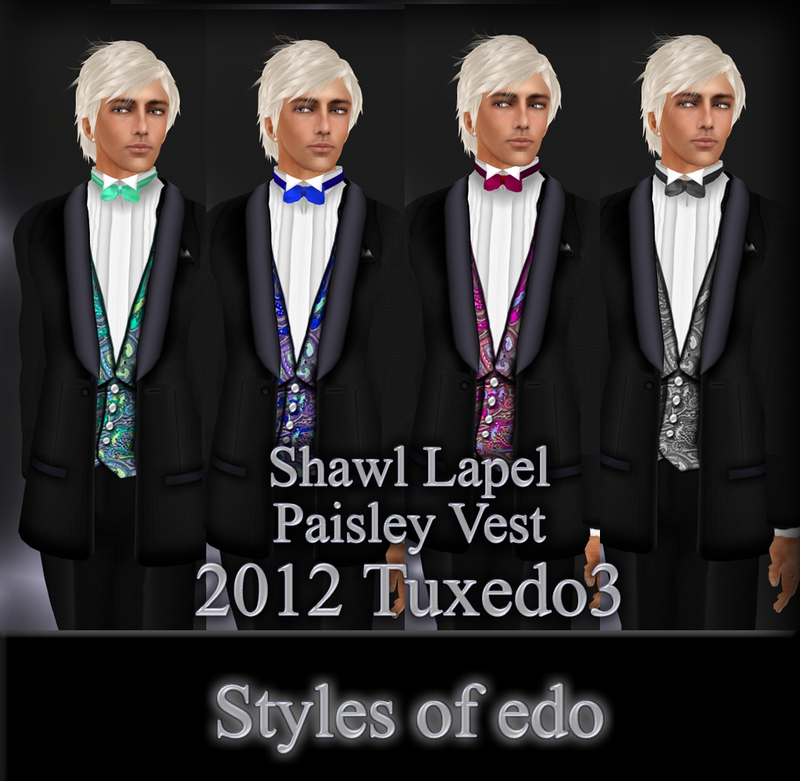 2012 Tuxedo3 with Paisley vest. 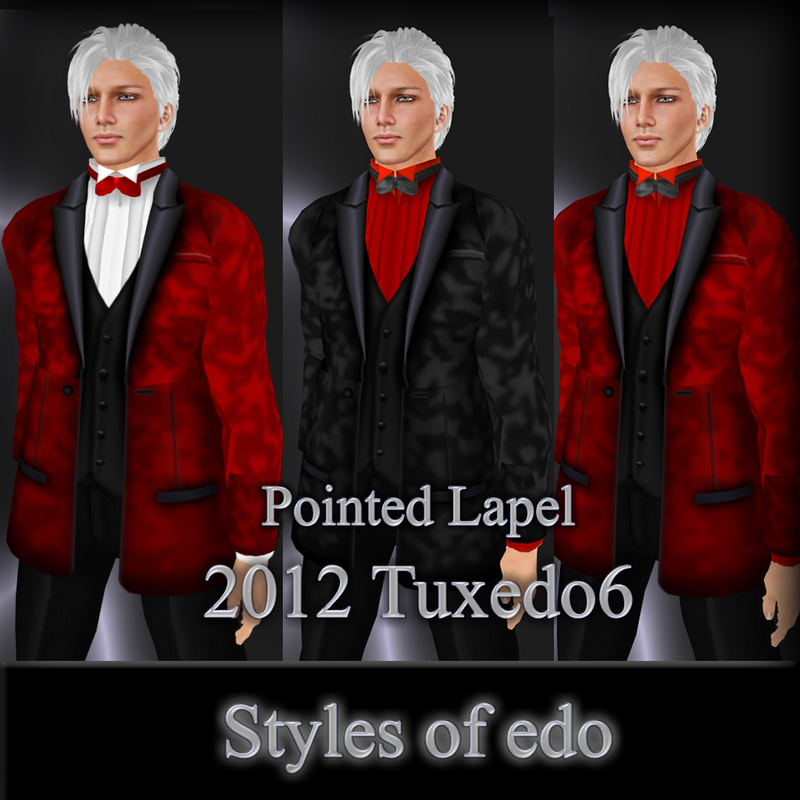 Styles of edo News, 20th.Oct.